Outcrop across Sawyer stream and up the grassy slope, visible from Unwin Hut kitchen. First route added summer 2013 with Murray and Bronwyn Judge, with room for a few more routes on steep left and right ends and up central groove. From behind Unwin, cross Sawyer stream 100m below the water tank, head up animal track to low point on grassy slope. 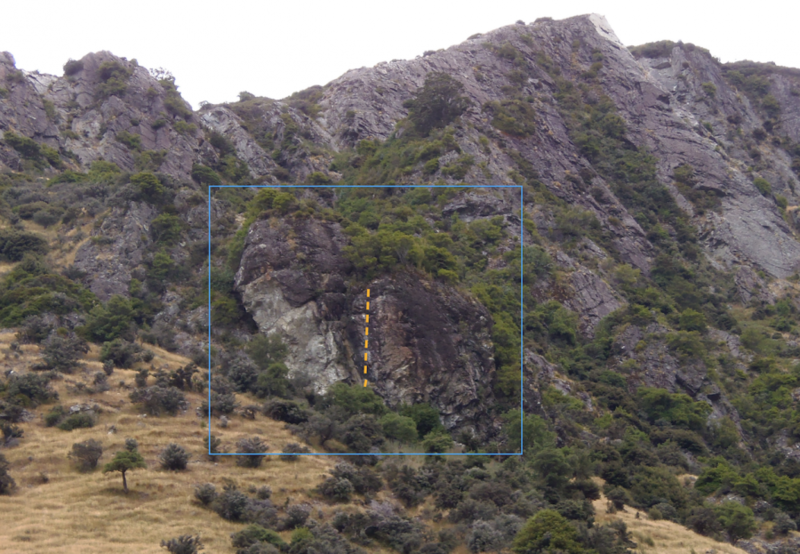 Follow your nose and tracks up and right to the stand of Kowhai trees at the base of the crag. Access to the top possible via careful scrambling up gully to the left (when facing the crag). Clip first bolt from corner, then step out and head up black groove. Loose rock in parts should clean up with repeats. Double ring bolt anchor.